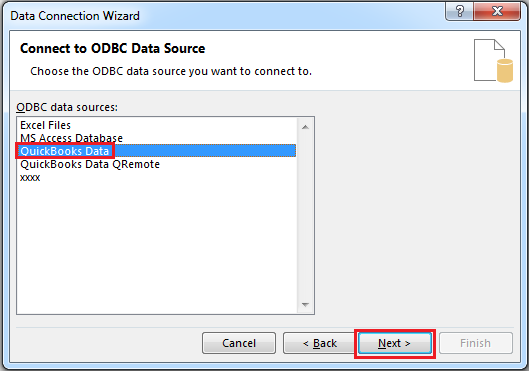 Note: QODBC allows you to easily merge QuickBooks data into your Word documents either as tables or as mail-merged fields. 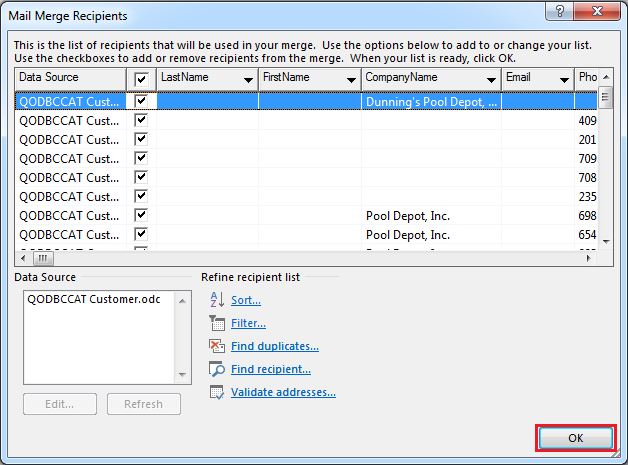 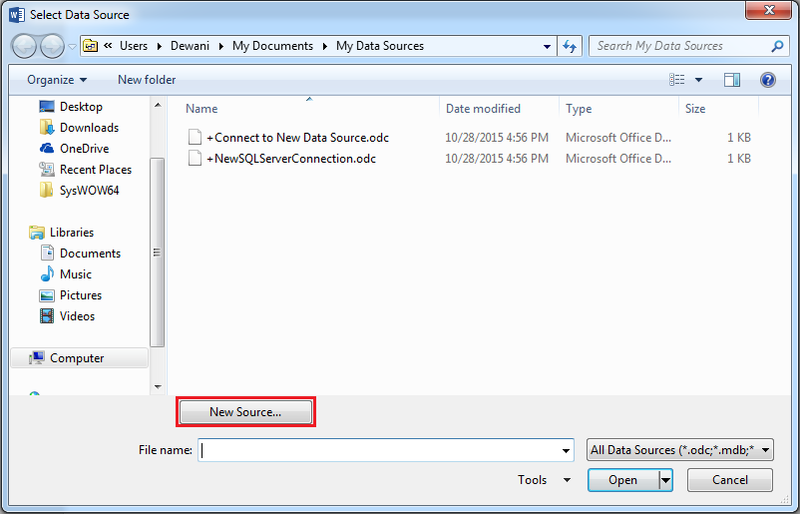 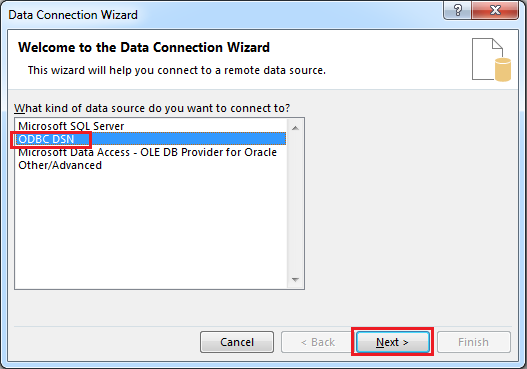 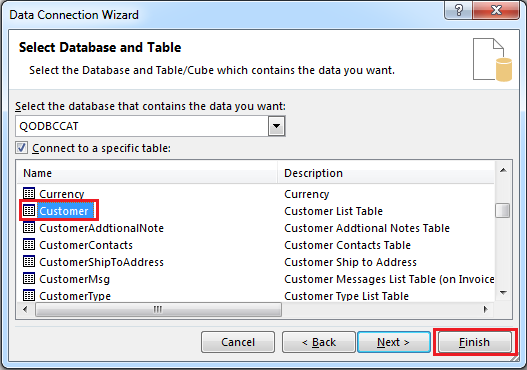 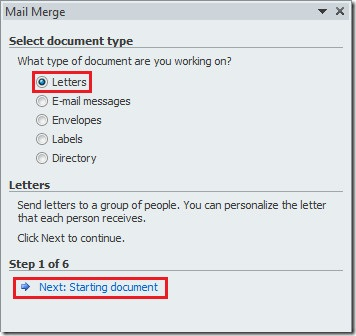 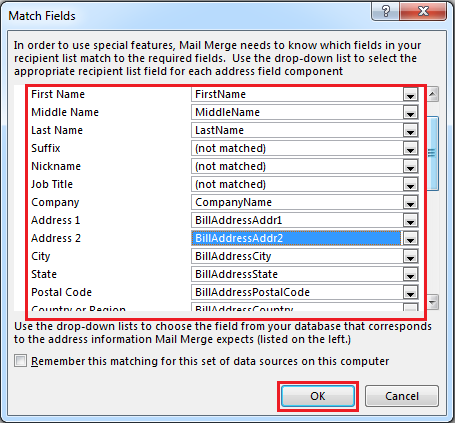 Open the Document you wish to mail merge QuickBooks data into, From the Mailing tab select Start Mail Merge options click "Step by Step Mail Merge Wizard..."
In the popped out click on "New Source..." button. 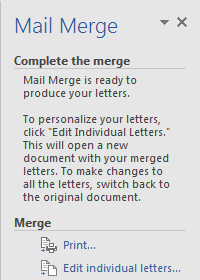 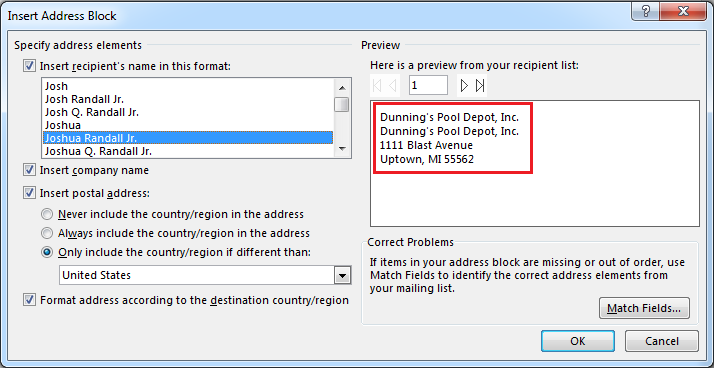 A Mail Merge Recipients window will show up. 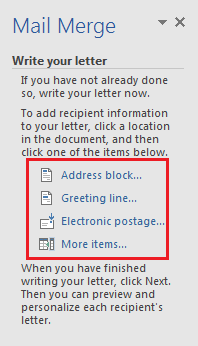 Press OK and then click Next: Write your letter. 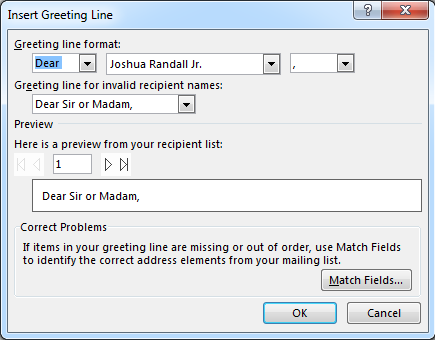 Now, Click on "Match Fields" from "Mailing" tab and add related fields.